"Professional coaching has the power to transform individuals and organizations. The best way to discover this is to experience coaching firsthand. 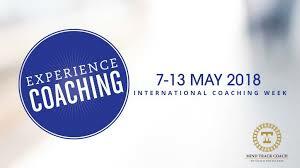 International Coaching Week 2018 will take place May 7–13, 2018."